Memorabilia courtesy of Tom MacEachern and Diana Foster. 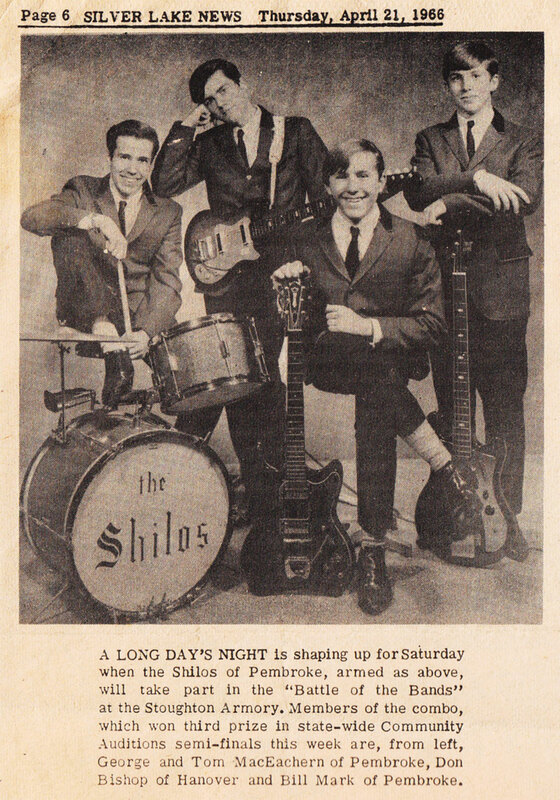 On the flipside of their low-key surf ballad "Lonely Town," The Shilos cut loose with the jumpy, Kinks-inspired workout, "Cause I Love You." And bubbling beneath the surface, waiting to explode, is 20 seconds of one of the wildest, crazy-assed guitar solos ever from Massachusetts teens! 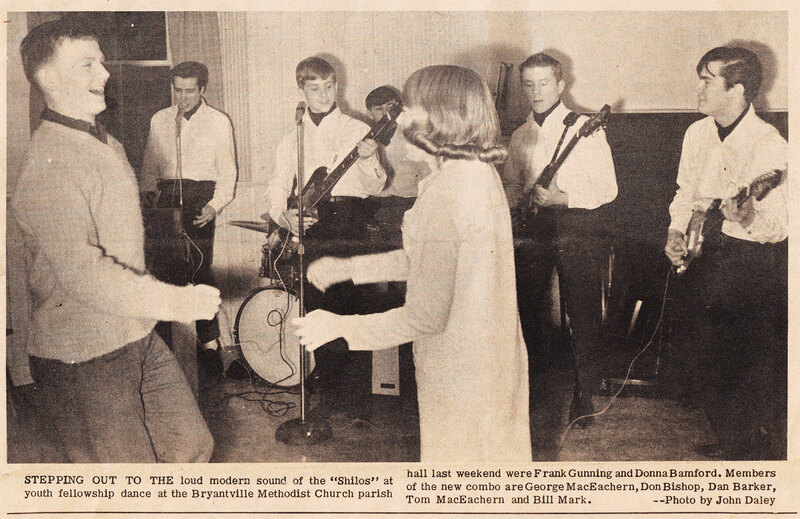 The band consisted of brothers George MacEachern (drums and lead vocals) and Tom MacEachern (lead guitar), with Bill Mark on rhythm guitar and Paul McWhinnie on bass (played by Don Bishop in the band's early incarnation). The outfit was managed by C.W. Wing Jr. of Hanover. 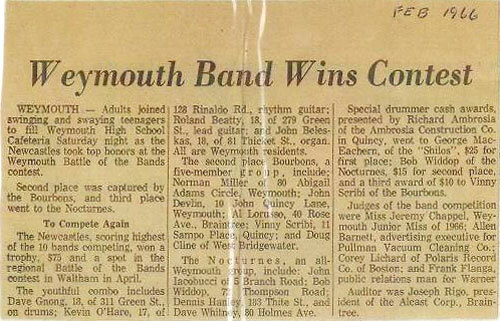 Details of the band's story are slim, but thanks to the few surviving newspaper clips we get a glimpse into their busy schedule. 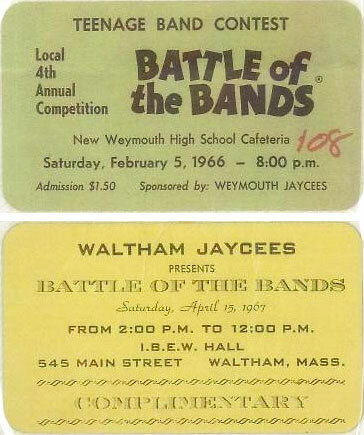 The Shilos performed at the Battle of the Bands at New Weymouth High School cafeteria in February 1966, sponsored by the Weymouth Jaycees. 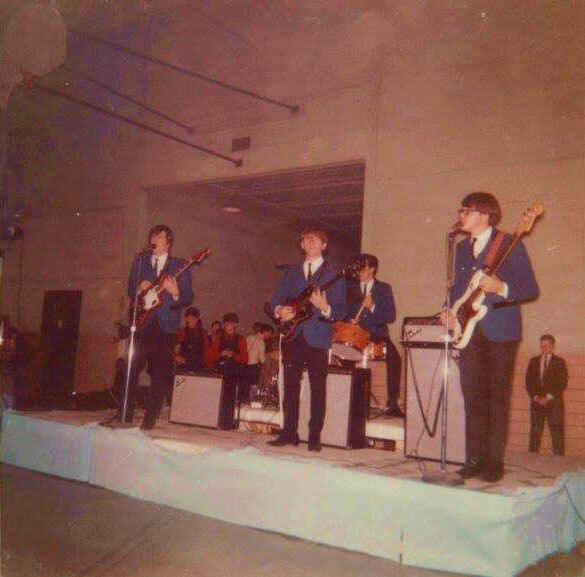 Another battle took place at the Stoughton Armory in April 1966. 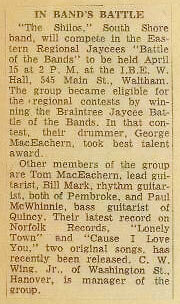 The Shilos also performed at the Eastern Regional Jaycees Battle of the Bands in April 1967 in Waltham, shortly after the 45 was released. An accomplished drummer, George previously had won "best talent" award in the Braintree Jaycee Battle of the Bands, which they won and secured eligibility for the Eastern Regional battle. Sadly, Bill Mark passed away in 2011. Special thanks to Diana Foster. In memory of her dad Bill Mark. Silver Lake News (Pembroke, Mass. ), March 11, 1965. 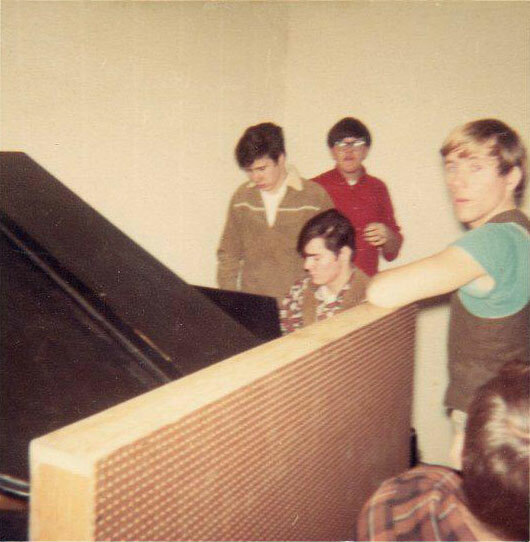 In AAA Studios in Dorchester, Mass., recording their 45, February 1967. 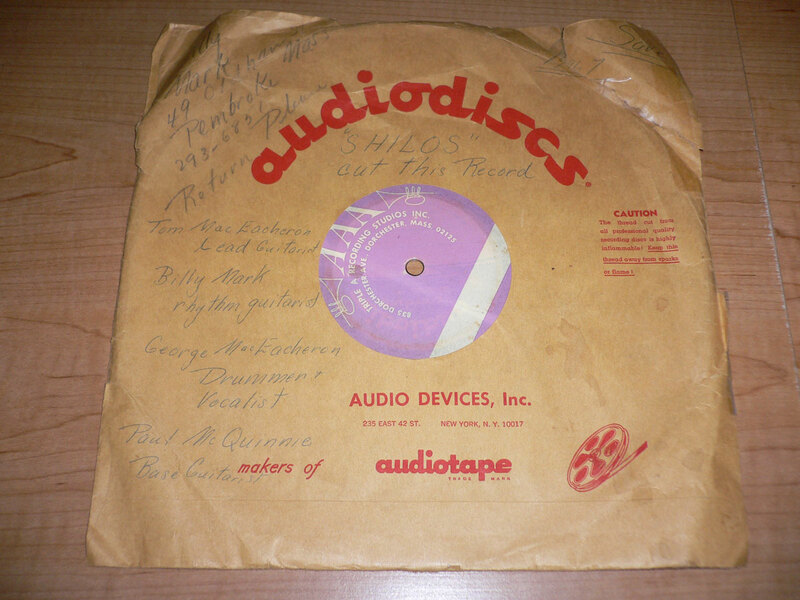 10" acetate of the two tracks from AAA Studios. 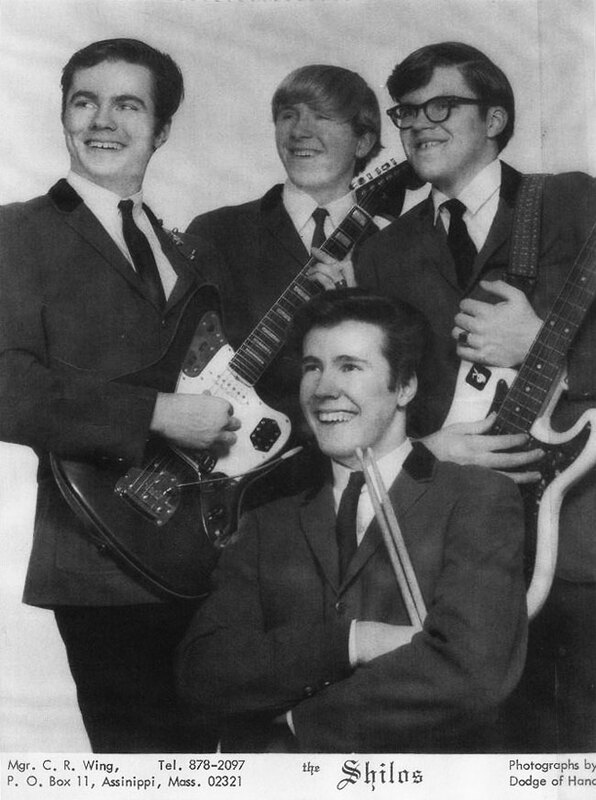 A discography of rock and roll records from New England in the 1960s. 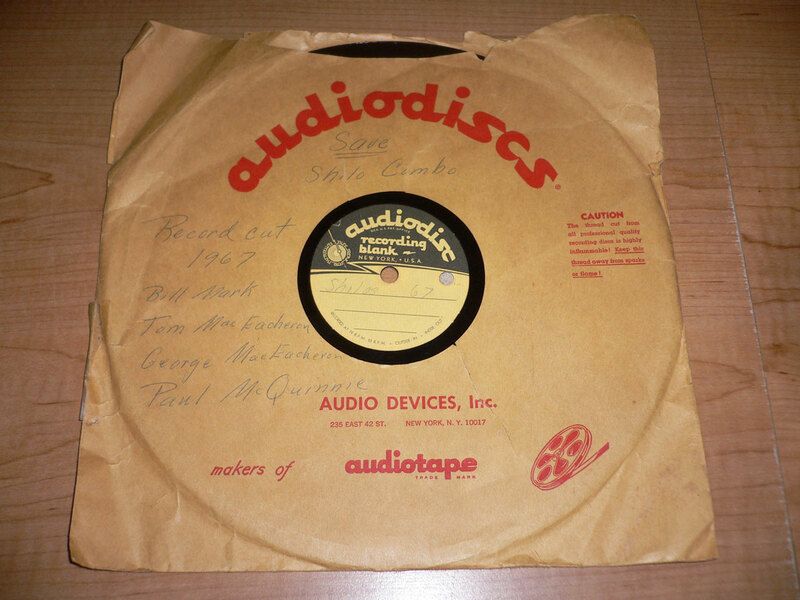 If you cut a vinyl 45 or a demo record back then, please get in touch. 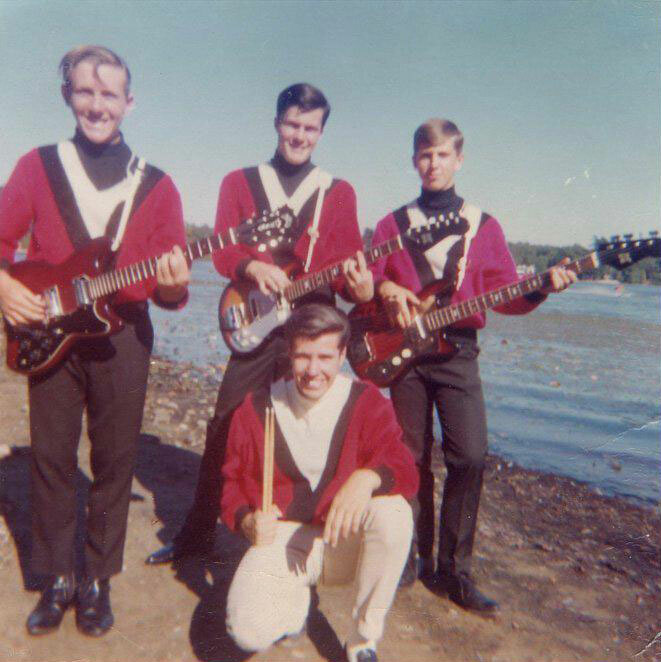 Check out our companion site dedicated to Rhode Island bands of the sixties: Rip It Up RI. A big thanks to Mike Markesich and TeenBeat Mayhem, his massive discography of U.S. rock and roll 45s from the 1960s published in 2012. The bulk of the info in these discography listings was culled from this invaluable resource. Buy it here! Note: Rhode Island band features currently reside on Rip It Up RI. © 2014-2019 Jason Litchfield. Powered by Blogger.